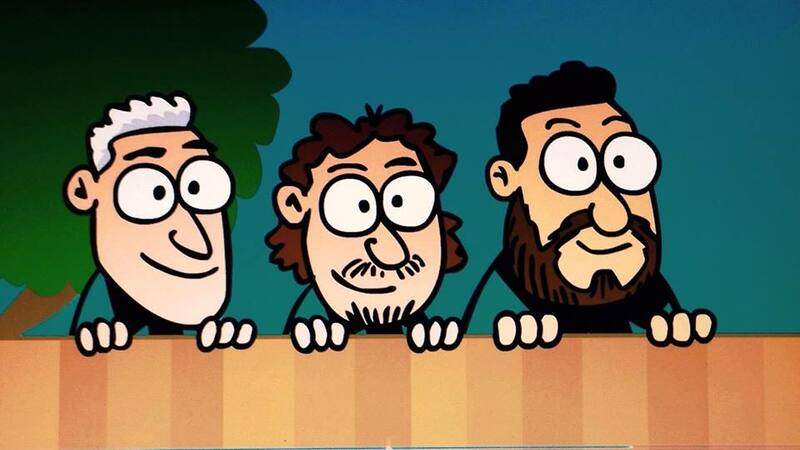 Check out this new video by Play Date! It’s for “The Number Song,” from their debut children’s album, Imagination. Set on the beach, husband-and-wife duo, Greg Attonito (The Bouncing Souls) and singer-songwriter, Shanti Wintergate, tell the tale of how the number one won the race of numbers. What you’ll love about it: These two are more fun than a barrel of monkeys (just check out Attonito’s serious dance moves)! They are equally playful and full of zest, which is what makes their music so appealing to kids (and grown-ups). 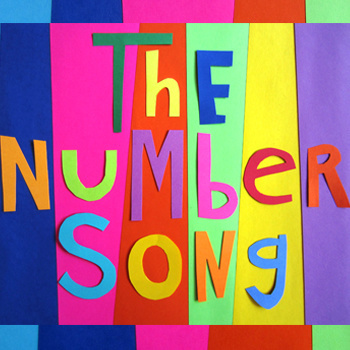 “The Number Song,” is an example of how this duo thoughtfully brings familiar concepts to life (see also “XYZ,” chosen for a Nordstrom digital commercial). By teaching counting through storytelling and visual cues, Play Date cleverly lays the foundation for kids to have fun while learning. The joy of childhood is very much alive in in the sounds of Play Date’s music. Want to learn more? Of course you do! 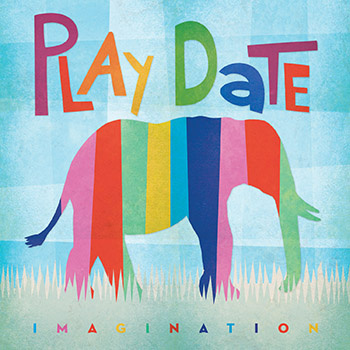 Play Date will be releasing a vinyl version of Imagination through their label Fun Fun Records in early 2015. Holiday gift guide: In the spirit #SmallBizSaturday and #IndiesFirst, you can support Play Date by purchasing the album, Imagination, through the Bandcamp widget below. When you purchase their Eco-Friendly Digipak CD you get a colorful piece of art, perfect for hanging in a child’s bedroom, and a coloring booklet. Artwork by Shanti Wintergate and Zak Kaplan. Wintergate and Attonito are authors! Keep your imagination flowing by reading the children’s book responsible for inspiring the creation of their band, as well as the songs on their album. “I Went for a Walk,” winner of a 2014 Child’s Magazine award, is a chapter book that takes children on an adventure through space where they have fantastic experiences in different worlds. Each page is made up of Attonito’s fanciful paintings. I Went for a Walk is available through Amazon and Chunksaah Records. Ready for some pie?! 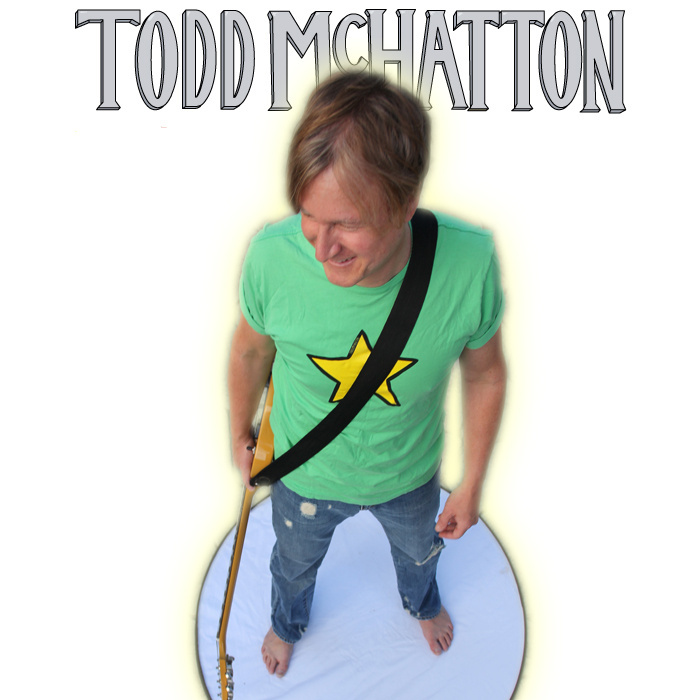 We’ll be baking and singing along today with Todd McHatton‘s “Slice of Pie” from his recent release Super Audio Sunshine. It’s that time again! Last week was a crazy week which prevented me from posting my weekly Rock Band Land story. As a bonus, this feature also includes a corresponding song by Rainbow Beast and the Rock Band Land band the Serpent Swimmers. Today’s story and song seems fitting, especially for those who were greeted by Old Man Winter this week. 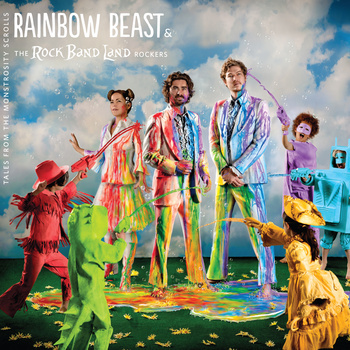 Artist(s): Rainbow Beast and the Rock Band Land band the Serpent Swimmers. What’s it all about? A superheroine! Ice cream! Lava! “Ice Girl” tells the tale of a young girl who was trapped under a frozen lake for many years, and emerges with an amazing superpower. She commits her life to helping others and her power evolves. Ready for the song? Be prepared to be rocked with sounds reminiscent of The Kinks, the Small Faces and the Animals. This song surrounds simple pop styling with copious amounts of fuzz and plenty of riffs. “Ice Girl” is featured on Rainbow Beast’s debut children’s album Tales from the Monstrosity Scrolls. All the songs on the album were written in collaboration with elementary-school aged kids. You can listen to clips, as well as purchase the album through Bandcamp. To learn more about Rainbow Beast and Rock Band Land, check out this interview with Brian Gorman, founder and co-director of Rock Band Land. It’s Friday! Why not send you off into the weekend with an excellent new video by Caspar Babypants? “The Creatures Under My Bed” is from Caspar’s most recent album, Rise and Shine. For this video, Chris Ballew, Caspar’s main man, enlisted the help of New Zealand animators, Mukpuddy (“Mister Rabbit,” “My Flea Has Dogs“) again. The whimsical animation paired with this catchy little tune makes the idea of having creatures under your bed pretty fantastic. As I said in my original post for “Mister Rabbit,” really anything by Caspar Babypants needs to be heard and seen. 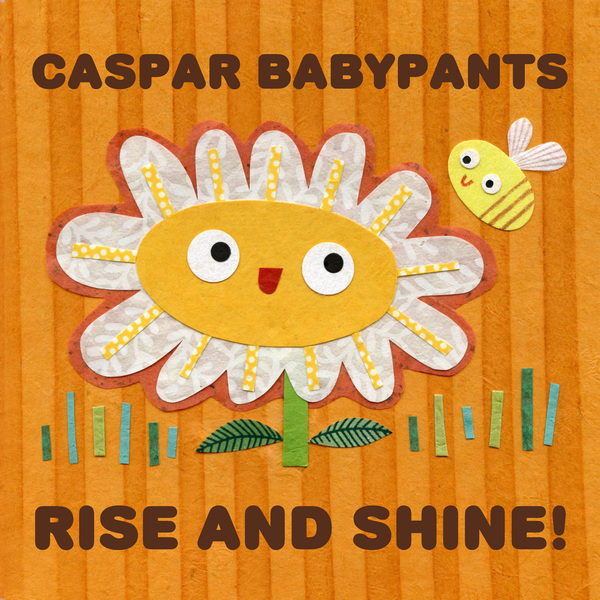 You can listen to samples, and download Rise and Shine at Caspar Babypants’ official site. 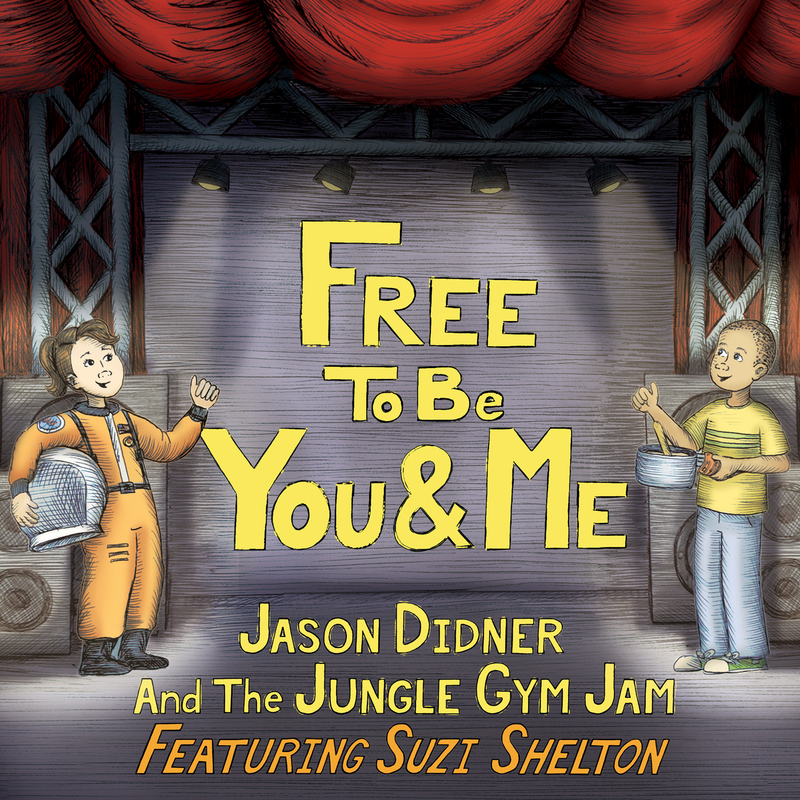 Recently, Jason Didner (of Jason Didner and the Jungle Gym Jam) and Suzi Shelton teamed up to record a cover of the song “Free to Be…You And Me,” which is the title track for an album of the same name. Produced by Marc Bazerman from Baze and His Silly Friends, the sound of this version is very similar to the original with the modern-day addition of the saxophone played by Alyssa Menes. Listening to Didner and Shelton bring this track back to life, I found myself hearing a song from my youth with a more mature ear. I was inspired to dig deeper and upon listening to the full album, I felt a great appreciation for just how revolutionary it was for its time. 42 years ago, the album Free to Be…You and Me was created by actress Marlo Thomas and released into the world based on the notion that children, regardless of gender, should be free to feel and express their feelings, and grow up to be whomever they think they ought to be. It was, in many ways, a benchmark in support of a more gender neutral society. The album was so popular that it’s concept was expanded into a book and later a TV special. Many of the songs on the album touched upon progressive topics for their time (1972), i.e a girl could choose to be a doctor, and a boy could hone his paternal instincts by playing with a (baby) doll. The latter, found in the song “William Wants a Doll” was especially profound. I have never heard or seen anything encouraging boys to play with dolls. It seems so natural to encourage this based on the long-term benefit it could have on them later in life. A provocative assertion, maybe, but quite astounding when I think about it now as a parent. As a whole, the entire album really opened my eyes to how much progress we have made and yet how much more there is to go. You can hear the original Free to Be…You and Me here through the Spotify widget below followed by the updated single. Do you remember this song? 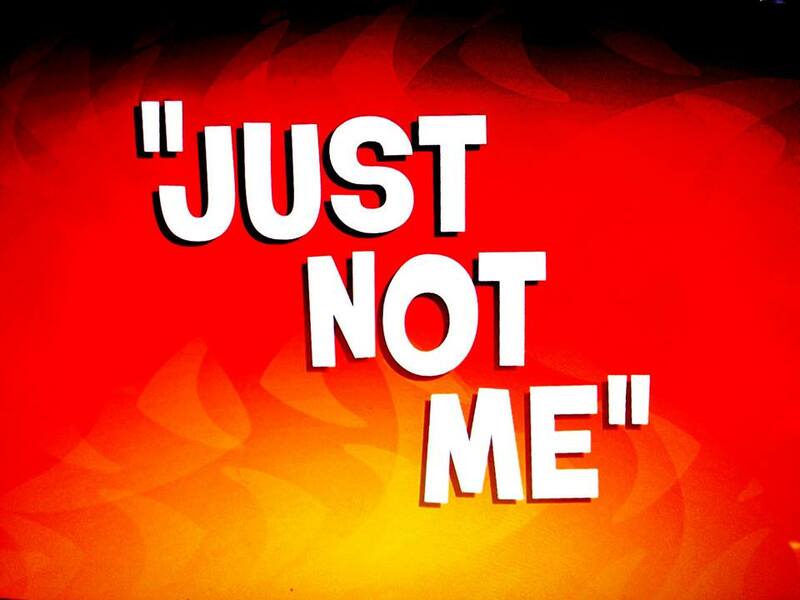 Has this song influenced you in any way throughout your upbringing or even now as a parent? FREE MUSIC: Somethin’s cookin’! Thanksgiving Playlist before the feast! Thanksgiving is the holiday before the holiday rush starts. It’s the pause, the calm before the holiday storm. Although, this year it felt like Christmas started the day after Halloween as Christmas villages, gold garland and colorful striped candy canes made a fresh appearance on fully stocked shelves. As I was thinking more about today’s post, the general food theme, and the feast that comes along with the upcoming holiday, three words came to mind: comfort, memories and gratitude. Each of the following songs filled me with an unexpected eagerness for the holidays. Feelings of comfort flooded through my body as I thought about spending time with family I don’t get to see very often. Memories of being glued to the television, wide-eyed, watching big balloons float along in the parade filled me with joy. Gratitude for accomplishments, friends and the love that I am surrounded by every day swelled my heart. Sure, there’s a bit of wacky in there, too, but what would the holidays be without a bit of madness?! Spread the love by sharing these tracks with your family and friends. Download the Soundcloud playlist for FREE through Friday, November 20, 2014 . If you like what you hear (I promise you will!) consider supporting the artists by clicking on their corresponding links below. Having trouble playing the Soundcloud songs? Follow this link. 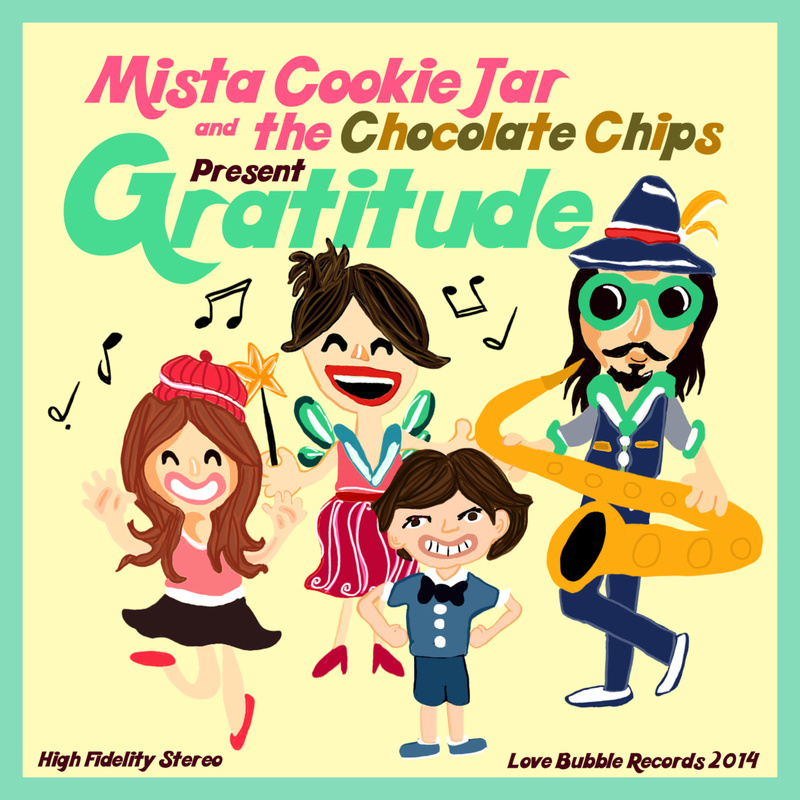 Naturally, Mista Cookie Jar, Miss Ava Flava and the rest of the Chocolate Chip crew bring heartfelt words with a big bang of soul. On the below track, MCJ gets brassy with the sax, adding some pizazz to the mix (this guy has endless talent!) while reminding us to “give thanks” by spreading our love everywhere because “Gratitude is contagious“! So true! Check out the rest of the song’s lyrics here.